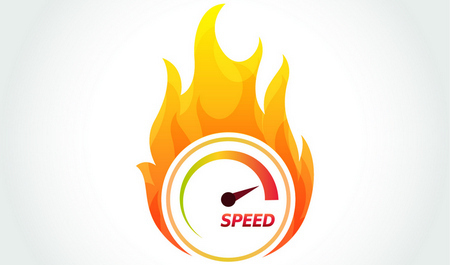 The NO.1 DVD ripper to rip protected DVD to MP4, AVI and more. Why Can't You Copy DVD Easily? CSS(Content Scrambling System)– A digital rights management (DRM) and encryption system aimed to prevent DVD content from being illegally copied or piracy. To get rid of the limit of region code, here’s the related guide: How to Easily Remove CSS Encryption from DVD? How to Copy Locked DVD with the Best DVD Ripper? 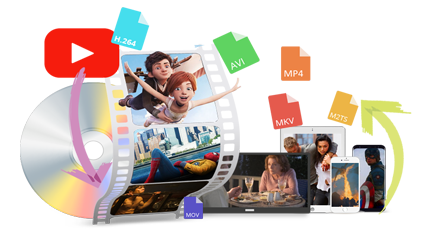 I know these encryption technologies can protect the copy-righted DVD effectively. However, it also hampers your personal use of the DVD content. Since DVD is protected by various advanced methods, plenty of DVD movie rippers are not able to work it out well. If you failed to copy copywrited DVD for backup purpose, such a situation is annoying. Here I will provide solution to get rid of this nettlesome problem. 1, Copy both home-made DVDs and commercial DVDs. 2, Back up your old DVDs or DVDs with new copy protection. 3, Fast and 1:1 quality copy. Next I will teach you how to copy copy-protected DVD with this splendid DVD ripper. TIPS- WonderFox do NOT advocate our user to copy DVDs for any commercial use; ONLY for personal use. Before start, please free downloadfree download and install it to your Windows computer. Then let's start to deal with how to copy copy protected DVD. Step 1. Run the software, choose “DVD source” to upload your copy-protected DVD. By the way, you can import ISO Image and DVD Folders as well by clicking the corresponding icon on the main user interface. Step 2. Select a output formats. And then your copy-protected DVD will be copyied to this video format. 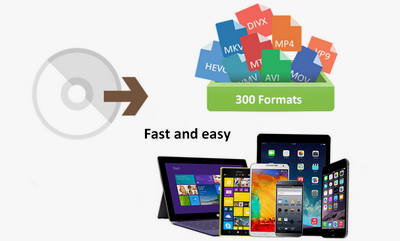 This program supports you to convert DVD video to 300+ optimized digital formats and devices. Step 3. Start copying your DVD to digital video. Here you can specify the output folder, then click “Run”. 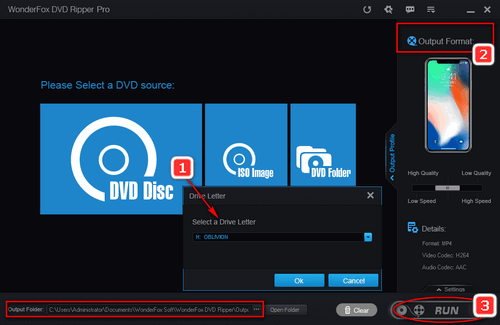 After this process, congratulation, you have fixed how to copy a protected DVD issue. To be specific, you can copy protected DVD to computer or other 300+ formats and devices. 1: Make quick 1:1 DVD copy to ISO and DVD folder. 2: On format section, you can choose one desired format by clicking its icon. As for how to copy write protected DVD to different format (MP4, AVI, MPG and more), please read: How to Copy Any DVD to Video/Audio Format. 3: On device section, you are allowed to convert DVD to Apple devices (iPhone, iPad, iPod, Apple TV and more), Samsung devices, 4K TVs, tablets, Google Chromecast and more. For details of how to copy protected DVD to PC or other devices, you can check: How to Convert DVD to Computer and Other Devices to Have an Easier Movie Enjoyment. After you finished how to copy copyrighted DVD in a fast speed, you can even upload the converted digital DVD videos to cloud for better keeping. MP4 is recommended to be watched on TV, iPad, or Cell Phone. With the above method, you can easily copy your DVDs to the format you need. In all, WonderFox DVD Ripper Pro is a perfect choice of copying copyright DVD. 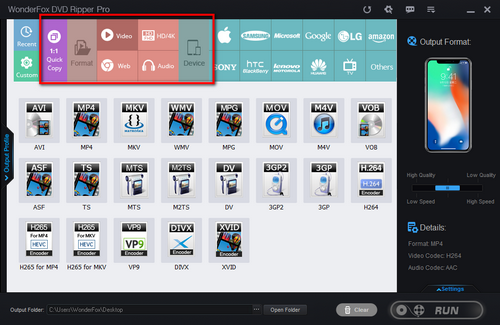 It is also capable of adding subtitles to DVD videos and removing subtitle from the DVD movie. WonderFox DVD Ripper Pro - A professional DVD ripping tool that can fix how to bypass copy protection on DVD and crack the limit of region code, and convert DVD content to most video formats and handheld devices. Feel free to download it now to resolve how to copy DVD problem. It’s an all-in-one media solution including DVD backup and ripping, HD video conversion and downloading. With this program, you can also deal with some basic DVD/video editing like clip, crop, merge, rotate and more. If you want to save online movies or music, this program is able to download from 300+ websites like YouTube, Facebook, Metecafe.